I am always looking for best and easy solution for my topics that's why you will get benefit for reading this blog. I will share with you about that tool with benefits of the tool, may be you are thinking I am lying but I am not. Helps to keep your readers on your blog long time. Get Update directly to your email account. One of the Best Benefit is whenever your users will copy your content then TYNT tools make it copying content having your page link. That means you will get benefit of a great service for free, I will recommend you to go for this and see the difference with in one month. This tool will also help you to know which contents your users are copying, as I told you earlier this tool will left a page link with copying content. 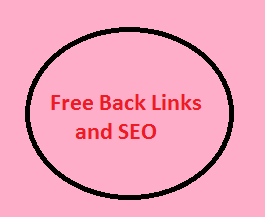 Now imagine if any one will share your post with their friends may be in social networks, that means people will get the source, which will increase your backlink as well as visitors. I mean this tool can change any blog SEO, if a tool giving us this much thing why we should not go for this tool. :-Go for it or not, let me know. that's great .. I have been surfing online greater than 3 hours these days, but I never found any fascinating article like yours. It’s beautiful value sufficient for me. In my view, if all webmasters and bloggers made just right content as you probably did, the net will be much more helpful than ever before.